How Big and Expensive Is a 7kW Solar System? 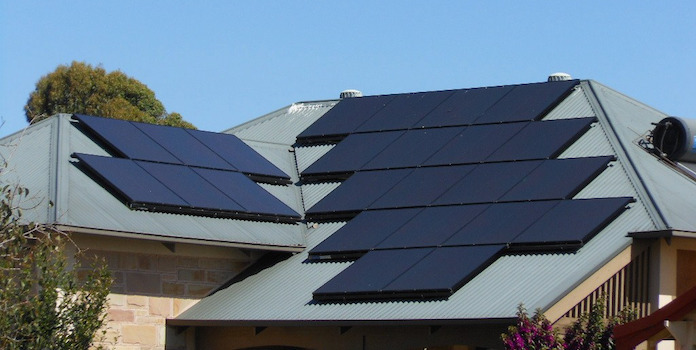 Find out how much a 7kW solar system installation can save you. A 7kW solar system is a medium-to-large sized system that covers close to 100% of the average home’s energy use, depending on the location. But what exactly is a 7kW solar system, how much does it cost, and how much can you save by installing one on your home? Read on to find out! Before we start talking about 7kW solar systems, let’s discuss something that is even more cost-effective than installing solar: energy efficiency. 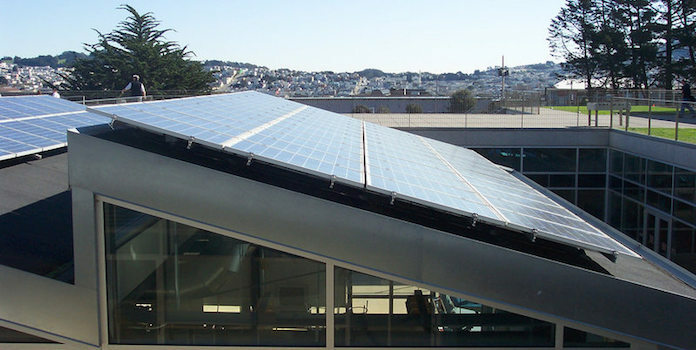 You probably don’t think about energy efficiency when you think solar, but you should! Installing simple measures like additional insulation, weatherstripping around doors and windows, and LED lights can mean big savings at low-costs. In fact, energy efficiency is the most cost-effective method to save money on your electricity bills. It’s even cheaper than installing solar! Many utilities are jumping on (or already aboard) the efficiency boat, encouraging their customers to adopt efficiency measures in their own homes and businesses, after seeing just how cost-effective energy efficiency is when compared to actually producing electricity. For the average utility, energy efficiency costs about $0.02 to $0.04 for each kWh saved. Compare this to solar’s $0.06 per kWh and wind’s $0.04 to $0.08 per kWh – let alone coal’s high of $0.15 per kWh – and you can see just how great energy efficiency is! Installing these sorts of measures drops your total electricity use as much as possible. This allows you to install a smaller solar system, dishing out less cash and seeing a faster return on your investment. Consider energy efficiency a prerequisite to going solar! How big is a 7kW Solar System? Let’s break down what a 7kW system actually is. What does 7 kW actually mean? By 7kW, we mean that your installation can produce 7 kilowatts of electricity at any given moment. If it’s running at full tilt for one hour, it will produce 7 kilowatt-hours (kWh) of electricity. 5 hours would produce 35 kWh of electricity. Unfortunately, in the real world that 7kW system doesn’t actually produce 7kW all the time. Clouds, haze, rain, dust, and darkness all decrease an installation’s actual electricity production. The best way to know exactly how much energy an installation will produce is to head over to the National Renewable Energy Lab’s solar calculator PVWatts and plug in your system size and location. It’ll then spit out just how many kWh of electricity your system will produce each year. As installations in different areas produce different amounts of energy, let’s look at an example to see what a 7kW installation can actually produce. Using PVWatts, we see that a 7kW installation in Miami, FL will produce 10,237 kWh each year. With the average Florida home using 13,692 kWh each year, a 7kW system will cover about 75% of the average Florida home’s energy use. As mentioned, solar energy production and electricity usage differ from state to state. In some areas, a 7kW installation is more than enough to cover 100% of a home’s energy use. In fact, the average size of a solar installation in the US is 5.6kW, so a 7kW installation is bigger than what most homeowners have! Solar panels for homes can range in size from a low of 240 watts to a high around 320 watts. Most typically fall around 265 watts. With 1,000 watts equal to 1 kW, a 7kW installation would need 27 ‘standard’ panels (7000 watts divided by 265 watts = 26.4, rounded up to 27 panels). If your roof is very small and you don’t have space for 27 panels, installing high-efficiency panels is certainly an option, though they’ll cost more than the standard panels. With high efficiency 320 watt panels, you’d only need 22 panels to reach 7kW. If you need to drop installation costs as much as possible, you might be thinking about installing lower-efficiency panels. Doing the math though, we see that installing 240-watt panels increases your total count to 30 panels. The fact that you need 3 additional panels might negate any savings you’d see due to the lower individual panel costs. In the end, most homeowners find mid-range panels around 265 watts to be a good balance between cost, efficiency, and space. Twenty-seven solar panels is a lot, so how much space does that take up on your roof? Residential solar panels are typically around 5 feet tall by 3 feet wide, with a total dimension of 15 square feet. A 27-panel system would then total 405 square feet. Before you start worrying about whether you can fit all those panels on your roof, reach out to an installer and have them actually climb up there and measure. You’d be surprised how much open space there is and where exactly installers can squeeze in panels. If you don’t have one large space on your roof that can fit close to 30 panels, don’t worry. With microinverters, installers can break your installation down into several smaller groups of panels dotted around your roof. And remember those high-efficiency panels? You only need 22 of those, decreasing your total footprint to just 330 square feet, so they’re a great option if you’re really pressed for space and don’t mind spending more. All in all, a 7kW installation is fairly large, but there are many options available to get it up on your roof! How expensive is a 7kW Solar System? To wrap this up, let’s talk about the most important part: the cost and savings of a 7kW installation. To find the total financial savings from a 7kW system, we need to compare the total cost of the solar installation vs how much it would cost to purchase the same amount of electricity the system produces from the utility. Let’s walk through an example. We’ve already looked at Miami, so let’s keep going with that. In Florida, the average price to install solar is around $3.32 per watt, so a 7kW installation costs $23,240 without any incentives applied (like the 30% federal tax credit). We already know that a 7kW installation in Miami produces 10,237 kWh a year. 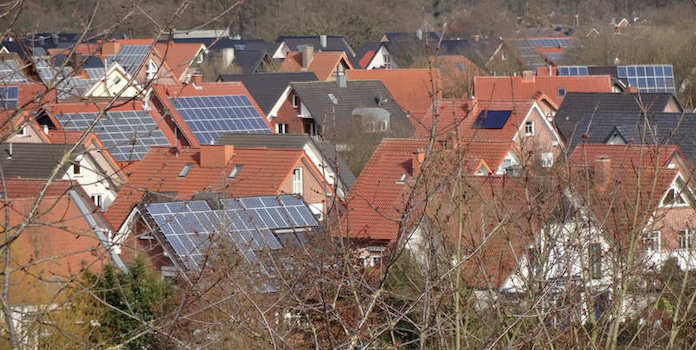 With solar installations lasting around 25 years, over its entire life, this installation will then produce 232,798 kWh (after taking into account solar panels’ typical drop in production of 0.8% each year due to aging, what’s known as degradation rates). Now let’s figure out how much you’d pay to purchase 232,798 kWh from your utility over the next 25 years. The average Florida utility charges $0.12 per kWh for electricity and raises this price 2% each year. Purchasing 232,798 kWh over 25 years would then cost $35,497. Subtracting $23,240 from $35,497, we find a 7kW installation in Miami could save you $12,257 over its lifetime. Though we didn’t add it here, applying the 30% federal tax credit would drop your total cost and increase your savings even more! A 7kW installation can save you big bucks over its lifetime, but the best thing you can do is to talk to a few installers and get a detailed estimate customized to your own area and energy use. Have any questions? Ask away in the comments!